Proposed Collection of Information on Wild Horses & Burros; BLM Requests Comments	Human Vaccinosis: Minnesota to Expand the Spread of Vaccine Induced Disease and Illness? I have an idea! why dont we pull all of our kids out of these worthless public schools? Those that are vaccinated can stay there and infect each other with whatever they got infected with in the shots. Forget any representation. Ever notice your reps have no time to meet with you but can spend the day with corporate lobbyists? Guess who your rep is working for. You??? Not hardly. Stand up and take your shots people! They were paid for by lobbyists who dont give a damn about you and reps who sold you off for a few pieces of silver. We do vaccinate but I realize many people, and more each day are choosing not to. This should be your choice. It is a trade off. I may have to explain why I exposed my child to unnecessary risks that caused disability because of vaccines, and you who do not vaccinate may have to explain why your child got a disease that might have been prevented. Either way it is our right to choose and it is not the governments place to mandate anything with regards to vaccines. i am so sick of having to fight the very people we supposedly elected to represent us.. the people,,,only to see them sell their souls to corporations so they can profit off our backs. If these jackasses think these shots are such a good deal, they need to line their babies, toddlers and teens up in public and have them injected…….then lets do the parents! MDH is already laying claim to the dna of newborn babies. We need to shut this so-called government down and clean house…..get rid of them all and start over. Maybe they can get work afterwards as test subjects for vaccines!!! SALEM, Ore. — Sen. Elizabeth Steiner Hayward, a family physician who led the charge for strengthening Oregon’s school immunization law, will no longer pursue the legislation, a staffer said today. Senate Bill 442, which has had one public hearing and attracted national attention, would have eliminated religious and philosophical exemptions from school shots. Only medical exemptions would have been allowed. “After much careful consideration, Sen. Steiner Hayward has decided to no longer pursue this legislation,” the Beaverton Democrat’s chief of staff, Paige Spence, wrote in an email. He said while the debate was focused on Oregon’s nonmedical exemption rate, he wanted to distinguish that figure from the vaccination rate. He said because exemptions don’t necessarily mean children included in that statistic are completely unvaccinated, there doesn’t seem to be an emergency. “Ultimately, we probably need to review whether or not Oregon needs a constitutional amendment to make sure parents are in control of their kids’ health care,” Knopp said. At long last, it’s finally happening! 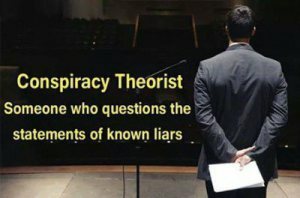 The US Congress is waking up to the criminal, yes criminal, behavior on the part of the Centers for Disease Control (CDC) and demanding transparency and accountability. Congressman Bill Posey of Florida (Space Coast), in a courageous act that could threaten his political career, called out the Centers for Disease Control (CDC) on charges of corruption in the area of vaccine safety. Posey said that Dr. Colleen Boyle, head of the National Center for Birth Defects and Developmental Disabilities at the CDC, is quite the master of spin. I agree. We need to just get the hell out of here. We aren’t safe here and it isn’t some terrorist form “over there” who is trying to kill us…..its our own damn government. I have seen first hand the damage from vaccines. My son wil never be the same. The doctor got mad as hell when he wouldn’t stop screaming and then said …dont even try to lay this temper tantrum off on the shot. two years later he doesn’t scream so much. Just lays there and stares or cries non-stop. We will leave too before we let them do this to us or our kids. Most especially our kids. They have no right to do this. I hope the money they took to push this stuff was worth this. I agree! Lets line up the legislators and their kids and spouses, moms and dads, and shoot them full of vaccines. then wait and see what happens. if they make it ok, i;ll think about it. i wont ever let them shoot that crap into me, but i will think about it. bartell where is it you think you are going to go that you will be safe from these monsters that want to do this? 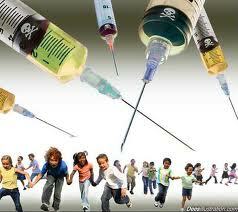 The kids that are vaccinated are the danger to those who aren’t. Those who are should be quarantined for 21 days after til they stop shedding the viruses they were infected with in the jab. We are leaving the US too. Cant get gone fast enough. You cant get anyone to stand up and fight for their rights so its time to go. When you hand over your baby and let them shoot chemicals and viruses and bacteria into them…what did you think you would get back? Jsut cause some don’t get sick right away makes it no less of a crime. Parents are just as responsible for vaccine injury as the makers of vaccines. They are the ones who sacrificed their babies and let them be poisoned. How many kids have to get injured or die from this crap before they stop? Have you seen the photos of kids that broke out in terible skin rashes and crusty stuff from vaccines? And what about those 43,000 kids who got paralyzed in India from Gates last eugenics experment? Do they not count either? Were they all faking too? Lets give all these vaccines to the people sponsoring these bills. Line them up and their families too! Get rid of the vaccine court and make it a mandate that when a child is injured by these shots the pharmaceutical companies are required to pay lifetime disability. also, when a child dies from vaccination there shoudl be extreme penalty to the manufacturer. What other products are out there that can kill and injure people with impunity? NONE!! We are packing up and getting out of the US. It isn’t safe here for me or for my family. Minnesota will not do anything but knuckle under. They always do. I wonder how much money got passed around by the pharmaceutical companies across the states to get all these bills to appear t the same time?? And every one of the sponsors of these bills got a big gift to sell you out. I just read where they identified the vaccine strain of measles from the shots circulating in the gut of kids with autism. I agree! STAND UP MINNESOTA!!! JUST SAY NO!!! No shots for us. I have two nieces who now have autism. They were just fine until they started the vaccines and steadily got worse. Of course they say it wasn’t the vaccines…..and if it isn’t, why do we have a special court for vaccine injury???????? They wont stop Marcellas until they have injected us all with diseases. This works out well with Obamacare…….don’t get the shots……no healthcare. Actually I think thats a good deal. What they call healthcare today is anything but. They tried this in several states out west and they are striking down these bills as fast as they come up. I would like to know what is actually in these shots of all kinds that they are so intent on getting into our bodies. How many have to get sick or die from these things before you wake up and realize that your health or your kids is of no concern to them???????????? FOR GOD’S SAKE MINNESOTA…STAND UP!!! DONT LET THEM TAKE AWAY YOUR RIGHT TO MAKE YOUR OWN DECISIONS ABOUT VACCINES. UF THOSE DAMN SHOTS WORKED….THEY WOULDN’T LET YOU HAVE THEM!